The month of May has whizzed by with such speed, it seemed like it was just yesterday that Geeks in Cambodia announced Impact Hub’s first EZECOM Networking Night. 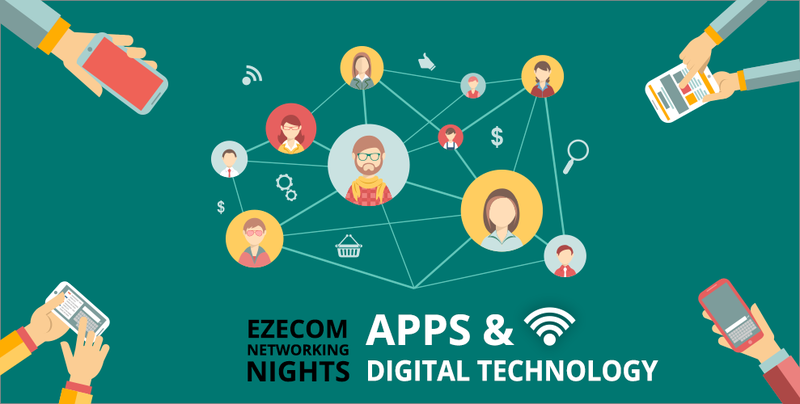 Now, the second Networking Night, slated to happen on May 24th, has already opened for registration and imagine our delight when we realised that this month’s topic is on apps and digital technology! Sponsored by Impact Hub’s partner EZECOM, these themed Networking Nights promise to be a gathering of industry leaders, talented graduates, entrepreneurs, similar businesses and relevant guest speakers. This presents a perfect opportunity to build networks, and with a spotlight on apps and digital tech, this month’s Networking Night would undoubtedly draw in techies, developers, designers, engineers, entrepreneurs, and startups. With free snacks provided in the cosy co-working space of Impact Hub, you can make connections while sharing your opinions, thoughts and the latest developments in the tech scene with people as passionate about this field as you are in a relaxed environment. Not to mention, partnership opportunities may also arise, and who knows? You might even develop your next big idea to disrupt the scene as you discuss ideas with like-minded people, or even find your future co-founder! With an event that presents as much possibilities as this, it is anticipated to be extremely popular, so slots are limited. So hurry and sign up here before spaces run out! For more news on the latest tech events, be sure to stay locked to Geeks in Cambodia, or follow us on our Twitter and Facebook to never miss a tech event again!